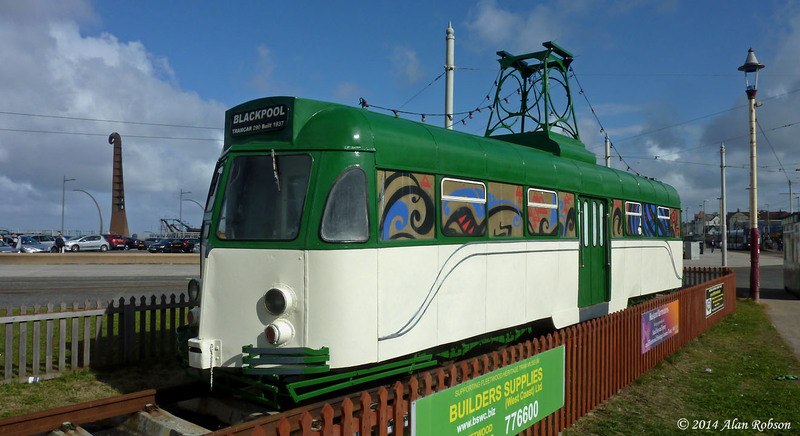 Brush Car 627, owned by the Fleetwood Heritage Leisure Trust, has nearly had its green and cream repaint completed, the tram just requiring a cream gloss finish to be applied. 627 has been painted in a 1970s style half green and cream colour scheme, but with the addition of streamlined beading along each side. The windows on the landward side of the tram still retain their former graffiti style artwork, the intention was to cover these over with adverts instead of stripping the paint off. 627 presents a much smarter appearance now than it has done for the last year, it's just a pity that the gold based graffiti paint couldn't be removed from the windows. 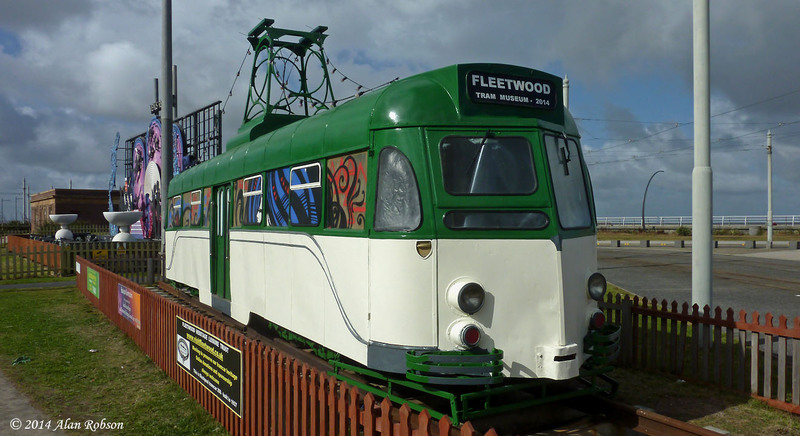 The northern end of 627 still displaying its unfulfilled destination of "Fleetwood Tram Museum 2014"